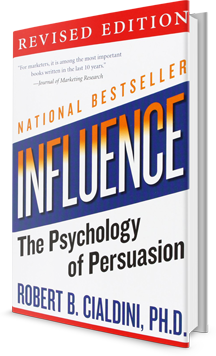 Influence, the Psychology of Persuasion – Robert Cialdini, PH.D. In short, this one is a must read. That is, if you are interested in psychology, marketing, advertising, or just want to know how that sales guy got you to buy that thing you didn't need. In the book, Cialdini explains in detail how most, if not all, advertising falls into one or more of the following six “weapons of influence”. I will write a more detailed review on this book in the days to come. For now, go out and buy this book. Just trust me on this one.